Exeter Festival of South West Food & Drink returns to Exeter Castle and Northernhay Gardens for its 15th year across the early May bank holiday weekend (Saturday 5th- Monday 7th May) with a brand new hands-on cooking experience for foodie families. Exeter Cookery School will be hosting a new Cooking is Fun Marquee at the 2018 Festival with a range of practical and engaging cookery workshops for families. Inspiring families to have fun together while cooking, each session will be led by experienced Exeter Cookery School tutors. Nila Ross-Patel will be on hand to reveal the secrets of how to create authentic Indian home cooking and Leith’s-trained Rachel Pinnock will be showing youngsters how to make delicious dishes from scratch. Head Chef and co-owner of Exeter Cookery School, Jim Fisher, will be getting families cooking from scratch and showing them how to make meals that taste delicious but won’t cost the earth. 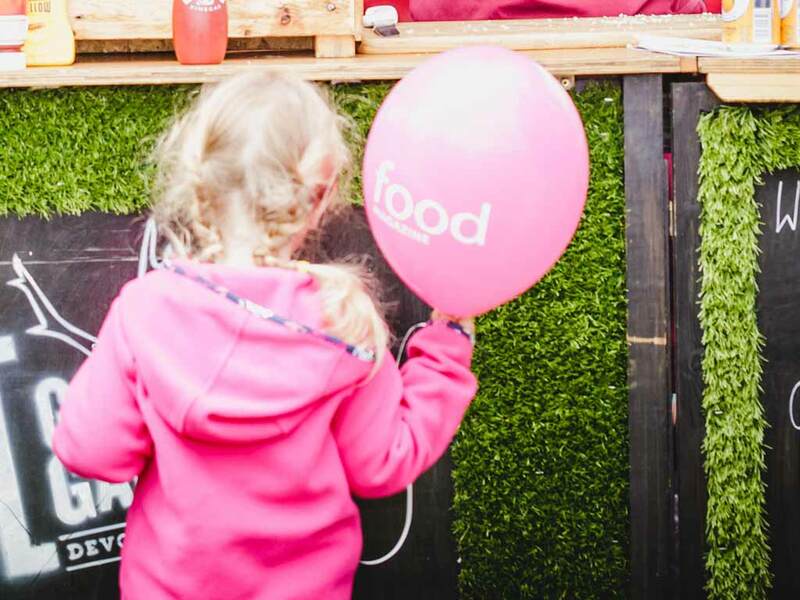 The teams at Darts Farm and Fun Kitchen will be working together in the Food is Fun Teepees to involve young food fans with spectacular science experiments, sausage and pizza making and crafts. Families can also enjoy the Shillingford Organics Farm School including cooking classes, planting, sowing and story-telling and the NFU Mutual discovery barn complete with games and activities to teach young children about food provenance and the hard work British farmers do. Throughout the three-day Exeter Food Festival, visitors can find a tasty mix of locally produced food and drink, workshops, cookery demos, local cider and ale bars, street food and live music from local musicians and bands. Attracting around 20,000 visitors, the Exeter Food Festival offers the chance to meet producers and buy local produce from over 100 exhibitors in two large food and drink pavilions. Visitors can also watch talented chefs in action at the Exeter Food Festival Cookery Theatre. Chefs demonstrating in the Cookery theatre this year include Festival co-founder and two Michelin starred chef, Michael Caines; Adam Banks, Head Chef at Fifteen Cornwall; Bini Ludlow, award-winning chef and owner of Sweet Cumin Cookery School; Emily Scott, The St Tudy Inn; James Goulding, The Pig and Guy Owen, The Idle Rocks. This year the Exeter Food Festival has re-invented its evening programme with the launch of Exeter Beats. The all-new Exeter Beats is a three-night music festival running from Friday 4th May for three nights offering amazing live music, hot street food, regional drinks and an undercover area. Headliners include Mad Dog Mcrea (Fri 4th), One Step Behind (Madness tribute, Sat 5th) and David Live (David Bowie tribute Sun 6th). Tickets for the Exeter Food Festival and Exeter Beats are on sale now.